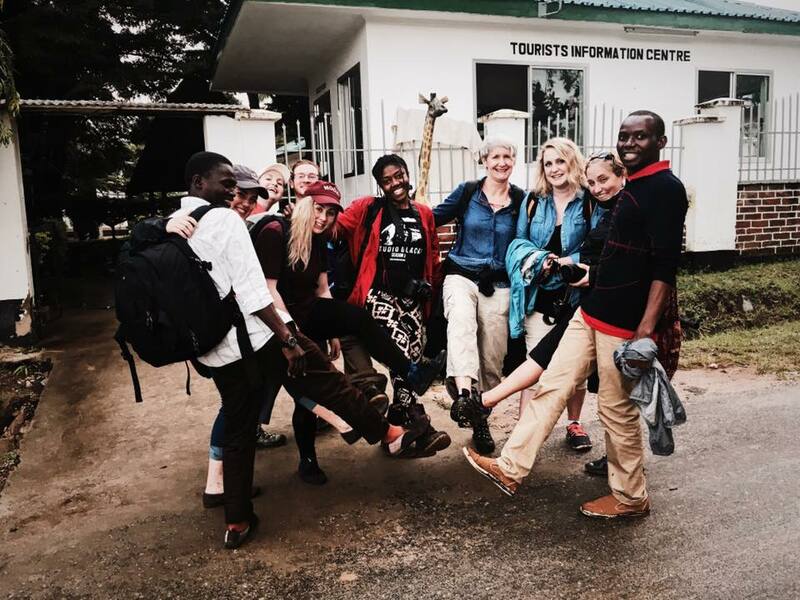 Oral History Interpretation & Documentation Program in Tanzania – As a Tourism Management student, travelling and meeting new people interests me more than anything. When the opportunity to take part in an Oral History Interpretation and Documentation Program in Tanzania arose, I was very hesitant to pursue it. I wasn’t hesitant due to the fact this trip would be totally out of my comfort zone but because I did not believe it was the right time for me to do something like this. After researching the country and having multiple conversations with family and faculty at NSCC, I knew in my heart that I was meant to go. I knew this trip would change me after our group took our first steps off our bus and onto the grounds of the VETA Hotel and Tourism Training Institution (VHTTI). We were welcomed with warm smiles and cold ginger beverages, as well as traditional dancing and a lovely dinner to follow. Although we had just spent 4 days on planes from being delayed, I did not feel tired at all. The energy that the students and faculty at VHTTI had was unbelievable. During our short week at Arusha, my hard working group and myself managed to capture beautiful stories and beautiful moments. We got to climb a mountain and pick coffee beans—which later turned into fresh coffee that we drank in cute white mugs. We travelled to multiple villages outside of Arusha to experience of a handful out of the 126 tribes there are in Tanzania. We conducted many interviews with people who want to protect their cultures and improve the knowledge of their youth. We learned traditional dances used for weddings and circumcision ceremonies. But my favourite part about visiting Arusha was the friends that we made while there. Each student in the rooms division at VHTTI were exceptional. I will never forget how hospitable and welcoming they were. Our second part of our trip took us to the southern part of the country, in a village called Mikumi. While in Mikumi our team was able to teach the tour guiding class about what we are learning in our courses. Margaret and I, both being Tourism students, were really able to connect with these students and get their opinions on how to save their culture and why it is important. We also got to take a once in a lifetime trip to the Mikumi National Park, where we were able to see 4 of the 5 animals that make up Africa’s “Big 5.” To end our trip on a good note, our last night was spent up in the mountains in Vuma Hills. Both NSCC groups that travelled to Tanzania got to reflect on the week, lounge by the pool and feed bush babies off the palm of our hands. This trip was unforgettable. I made so many new friends and got to experience things that some people may never get to experience. I would like to thank my group, Courtney, Margaret, Erica, Carter, Janet and Kellie. Without their positive attitudes and problem solving the trip wouldn’t have been any where near as fun as it was. As a graduating student in the Tourism Management Program I know that everything I learned on this trip will benefit me in my future occupation. So happy to have gotten this opportunity. My advice to anyone second guessing your desires to travel and learn new things is to just do it! You will only regret it if you don’t.